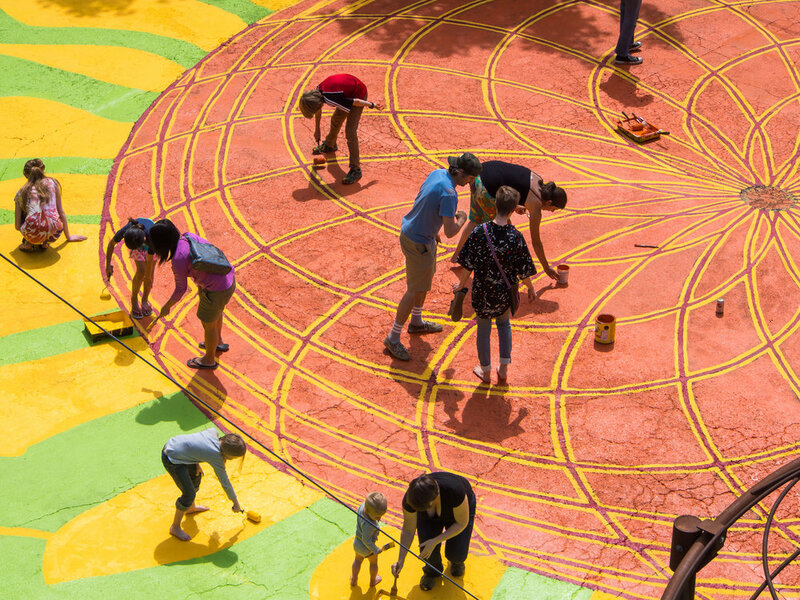 City Repair has worked in the Portland Metro Area (and surrounding communities) for over 20 years, creating public gathering spaces and helping others to creatively transform the places where they live. View our history, or select from the buttons below to learn more about our work! The City Repair Project has completed over 60 street paintings across the Portland Metro area (and surrounding communities). We create street paintings to repurpose existing public space in order to develop a broader diversity of uses that will facilitate sustainable community development. Permaculture aims to integrate nature and humans together through sustainable and design and construction, creating highly functional and beautiful outdoor spaces. Natural buildings are structures created by using minimally-processed, plentiful, or renewable natural materials such as straw, clay, wood, and stone.